Ships today if you order in the next 1 hours 24 minutes. Are you exercising and trying to eat healthier to meet your weight-loss goals but are still having trouble cutting fat and calories from your diet? 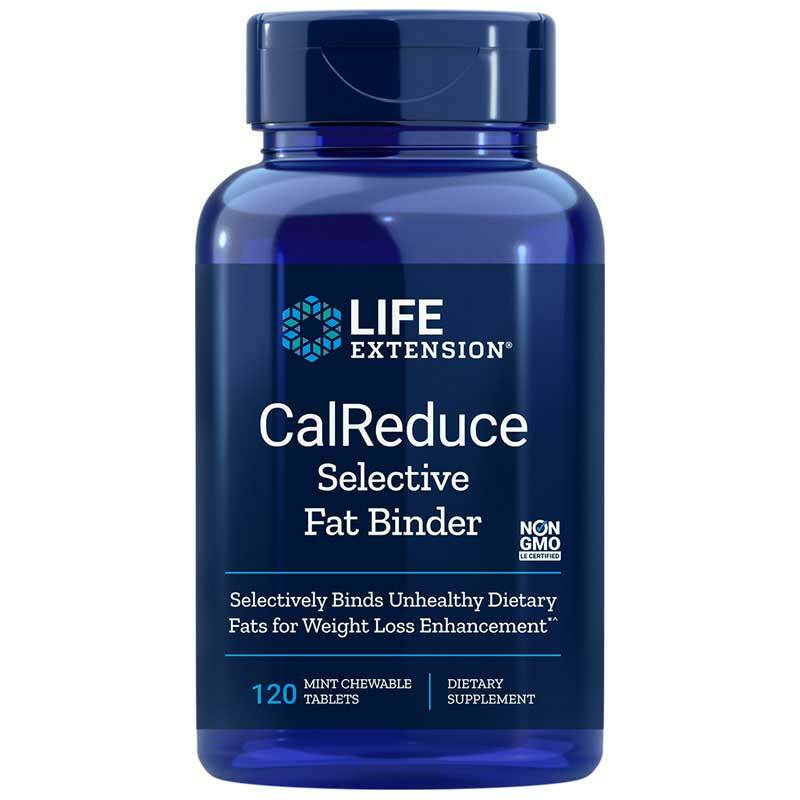 Counting calories and tracking your fat intake is no easy task, but with CalReduce Selective Fat Binder from Life Extension, you can make things a little more simple. CalReduce Selective Fat Binder is a unique product that may support your weight loss or maintenance goals. 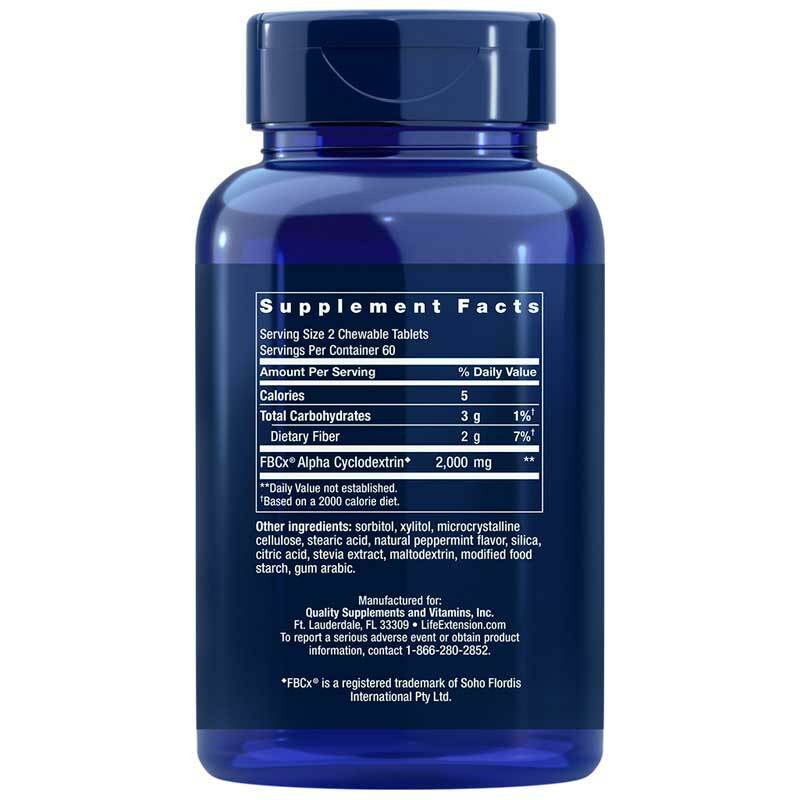 Containing a patented super-fiber called alpha-cyclodextrin, CalReduce Selective Fat Binder binds to excess fats in your body to help you maintain a healthy weight. A soluble fiber capable of absorbing nine times its weight in dietary fat, alpha-cyclodextrin selectively binds to unhealthy saturated and trans fats to help remove them from the body without affecting levels of healthy fats like omega-3. And taking CalReduce Selective Fat Binder is simple. By chewing two of the refreshing peppermint flavored tablets after two daily fat-containing meals, you can bind up to 36 grams of dietary fat and cut down on your calories. Exercise regularly and eat healthy. And cut the fat with CalReduce Selective Fat Binder. Order today. Adults: Chew two (2) tablets immediately after a fat-containing meal, once or twice daily, or as recommended by a healthcare practitioner. Do not swallow tablets whole.